I got this information through InAEA contact mail. InAEA does not relate and does not take any profit with this project. I am here sharing this with you. 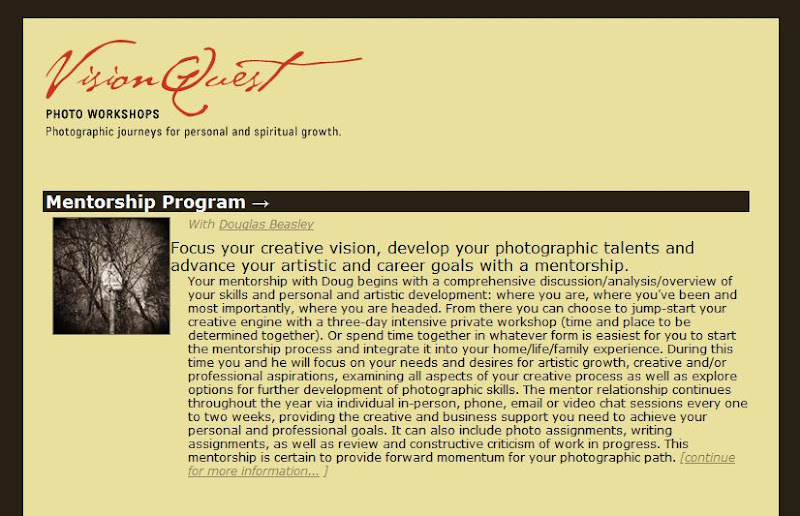 Vision Quest Photo Workshops announces a new yearly grant of a one-week photographic artist's residency. For mid-career fine-art photographers looking for a retreat-like experience to work on their art, reflect on their artistic direction, make new photographs, plan new career paths, or to simply have time away from work/family/life pressure and stress. Photographers can use this time to move their art or career forward or to reflect on where they are and where they are headed.